This residential building is constructed with reinforced concrete slabs, partially prefabricated, supported by masonry and concrete walls, columns and beams. 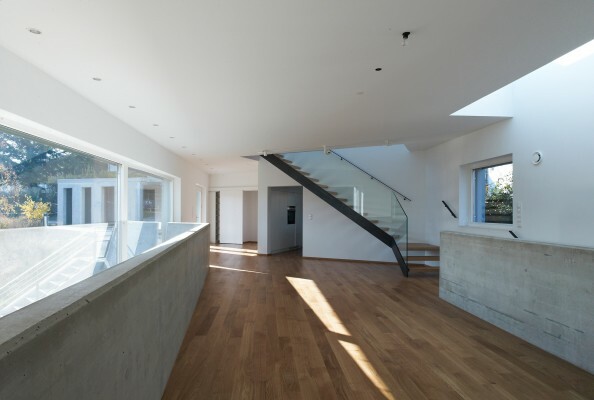 Two glass and steel interior stairs lead to the upper floors. 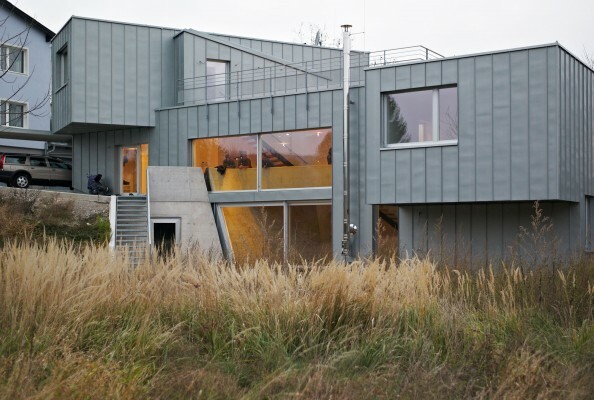 The exterior elements include a carport with a cantilevered roof and a concrete storage shed. The building floor plan is rectangular with two skewed rectangles at each end of the floor plan. One skewed rectangle cantilevers at level 2 and the other at level 3. 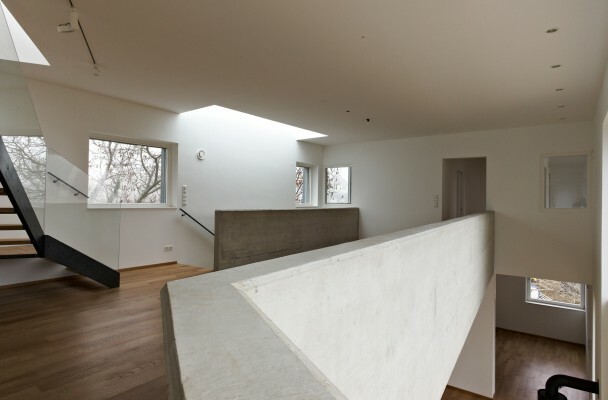 The cantilevering slabs are supported by the cantilevering walls which are hung back into the continuous walls. Due to a north-south slope level 1 drops down by approximately 3.50 m to the exterior garden level. 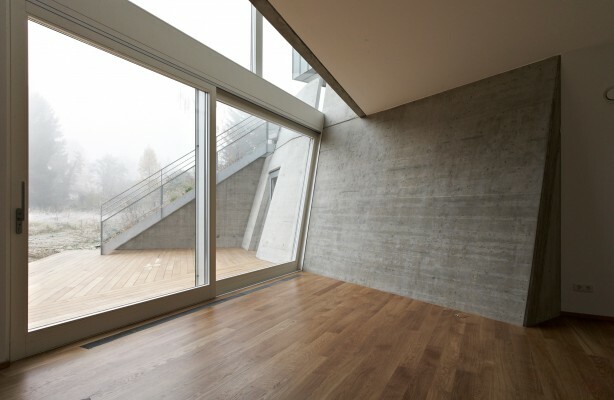 An eye-catching feature is the sloped exposed concrete wall, a bearing wall that continues from being an interior wall to an outside wall with exterior stair. On the east side transverse to the sloped exposed concrete wall is a double storey glass façade extending from level 1 to level 2. 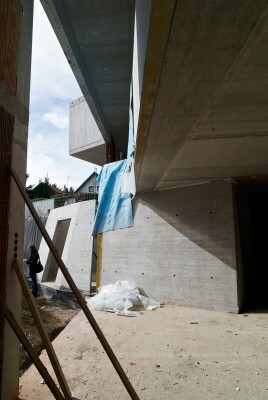 A concrete beam acts both as the window lintel and edge support for the level 2 slab. The house entrance facing the road is at level 2. At this level the north and south living areas are connected to each other by a bridge structure. 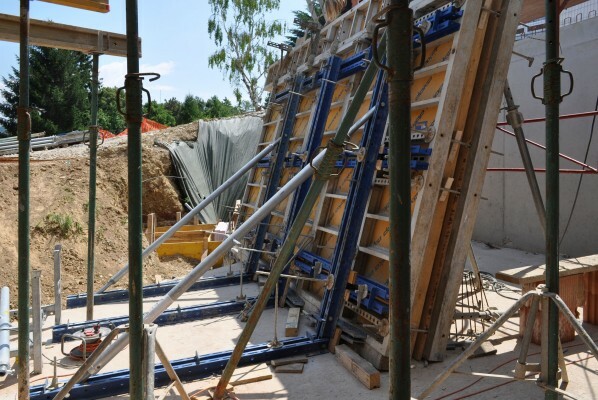 The loads are transferred by two reinforced concrete handrail beams at the sides. Level 3 is the top level rounding off the building with a skewed cantilevering rectangular living area which opens onto a grand rooftop terrace above level 2.